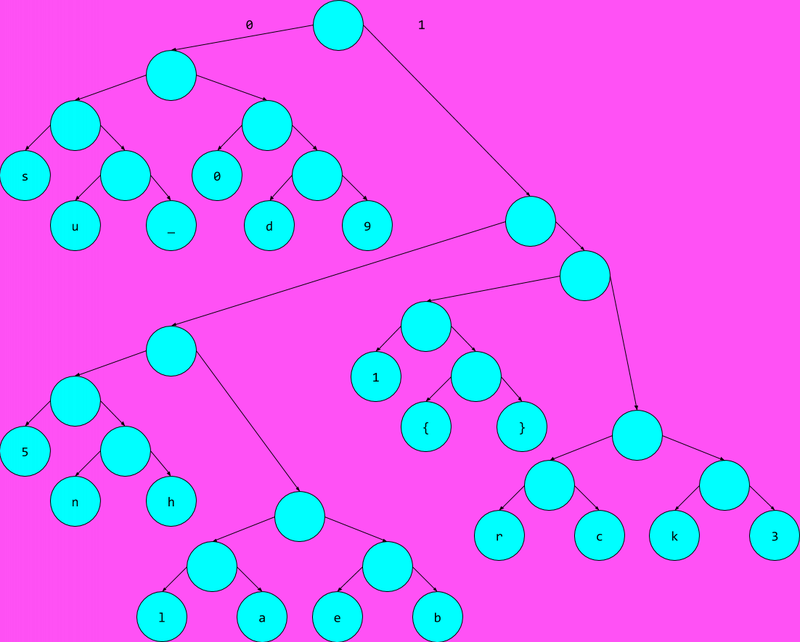 After analyzing the tree, it was concluded that the challenge is related to Huffman Encoding. 1. 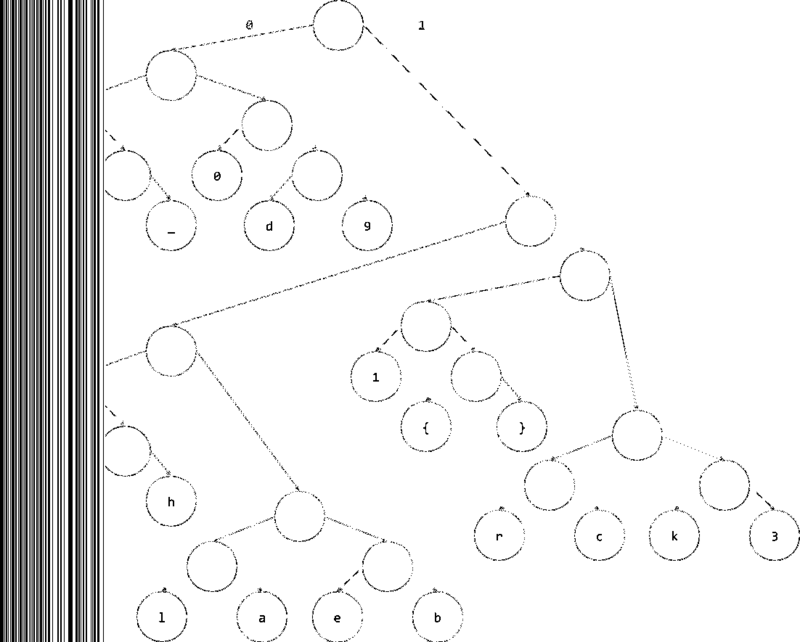 If a left branch is taken, then we consider the bit 0. 2. 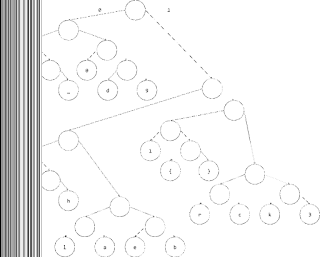 If a right branch is taken, then we consider the bit 1. 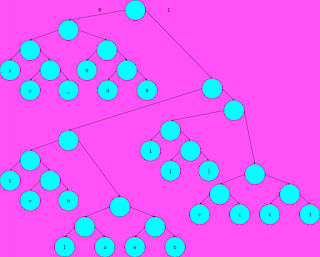 The left and right branches originating from the root node of the tree are marked as 0 and 1 respectively in the provided image which is also an indication that we have to use Huffman Encoding. In Huffman Encoding, if we have to decode the message, we need a binary stream. However, no binary stream was provided in the challenge description. 1. If the pixel value is 255, then we consider the bit to be 1. 2. If the pixel value is 1, then we consider the bit to be 0.
print "usage: python decode_stream.py <image_file>"
We scan 152 pixels from the left side of the image because based on analysis of the image in Gimp, it was found that approximately 152 pixels need to be scanned to extract the complete binary stream.